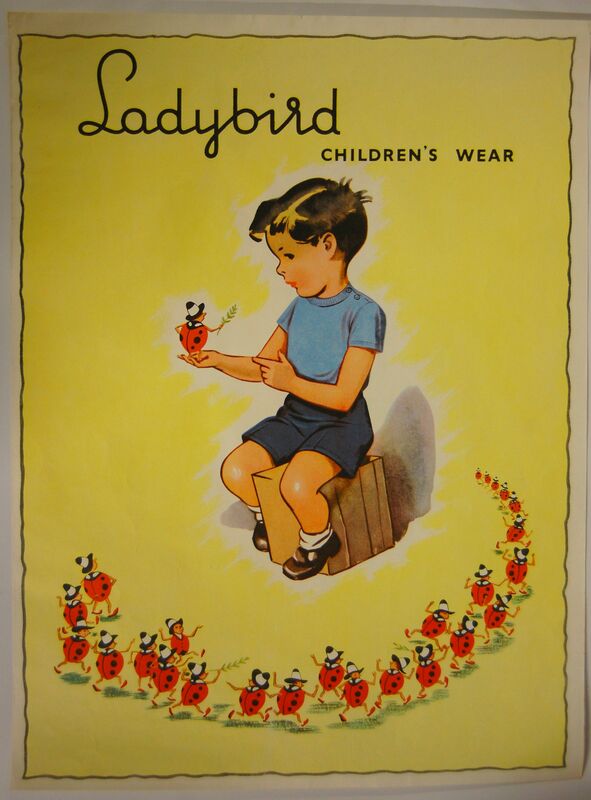 We have recently bought a selection of Ladybird posters, produced in the 1960s & 70s and used to sell children’s wear, not the Ladybird books which we know so well. The posters are all very vibrant and busy and the ladybirds, in their ‘human’ form, are undertaking lots of tasks. Each poster is themed so we have the Ladybird Olympics, a Ladybird Observatory, a delivery depot and a fun Christmas poster. The earlier posters from the 1960s are drawn by Robert Lumley a well know illustrator for Ladybird books – who, with Eric Winter, was best known for producing the images for most of the Well Loved Tales, Ladybird books. The 1970s posters are drawn by Stringer (no first name) and follow the style of Lumley’s earlier work with vivid colours and lots going on around a theme. 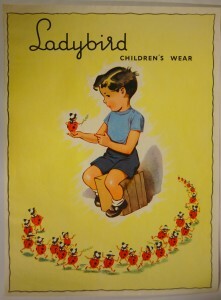 The later posters, which are unsigned, are very minimalist but do actually mention the Ladybird range of clothes. 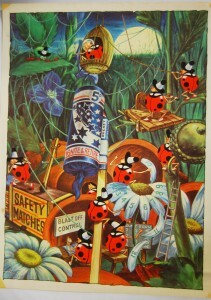 They continue to use the recognisable black-hatted ladybird, though both have a pale background and are less dense in style. We can find out very little about these posters, and though they are promoting the Ladybird Children’s wear range, the message is very hidden, except in the later more minimalist posters. There is lots of fun but very little advertising going on! 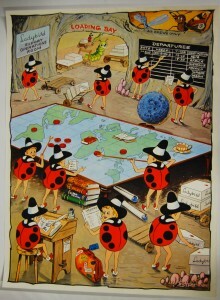 If anyone out there can shed light on these fab vintage posters we would love to learn more. Meanwhile they are all for sale in our shop, prices are dependant on condition and age.